Coach Maiocco talks to the participants. Richard Ortiz and Tyler Keith lead the stretching. Whether you are 6 years old or 60, baseball is a common ground for all ages. The game is a powerful lesson teacher and something that has to be passed down from generation to generation. 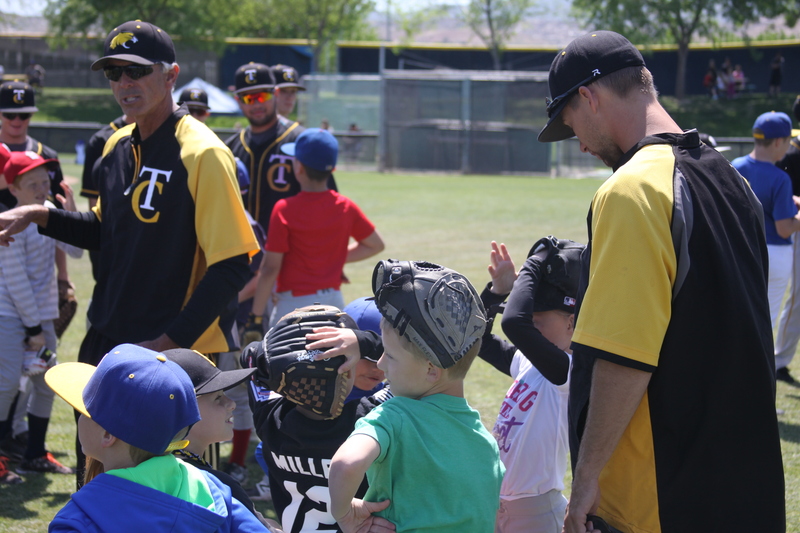 On Sunday, April 9, the Taft College baseball team hosted a clinic for the West Side Little League. 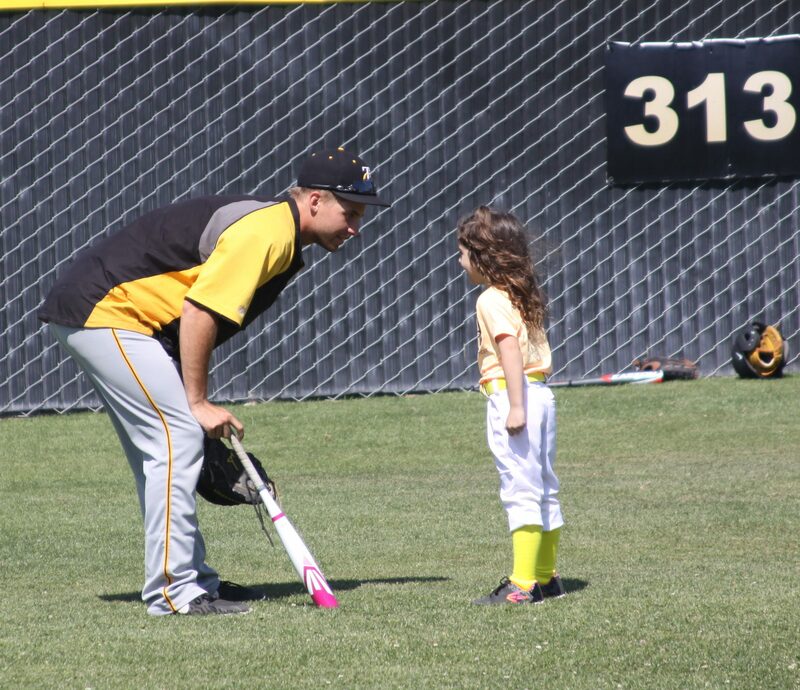 Little Leaguers, coaches and parents were invited to take advantage of instruction from Taft College players and coaches. The group circles up to hear coach. All that was asked of them to bring to the free clinic was their bat, glove, uniform, a positive attitude and a willingness to learn. There was an exciting turnout of more than 100 kids, parents, and coaches. 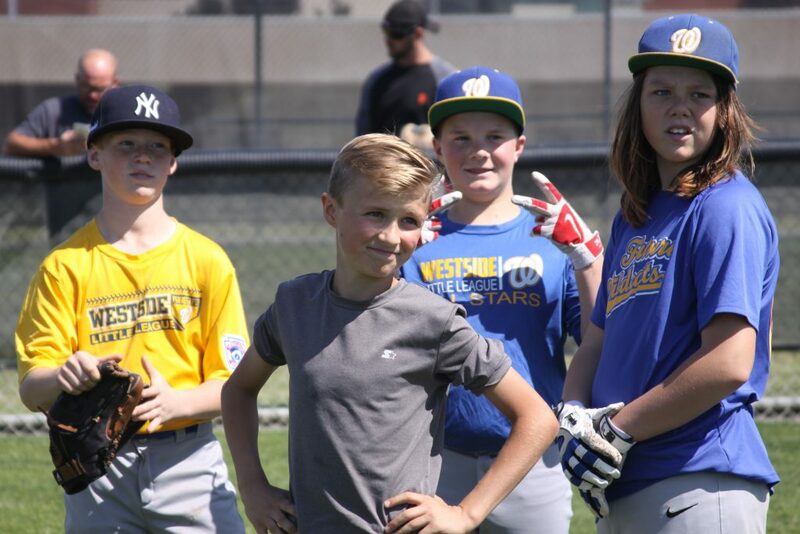 The little league kids entered Cougar Field with smiles on their faces and amazement in their eyes when they saw the Taft College players tower over them. Eager to learn and have a good time the little leaguers quickly began to interact with the college athletes. The participants broke up into several different stations where Taft College ball players looked over and gave instructions on the drills. There were bunting, base running, hitting, infield and outfield drills. Each drill took 10 to 15 minutes and then each group rotated around. “I like that we get to interact with the players and talk to all the older guys,” said Ryker Scherer, an 11-year-old ball player. Cougar coaching staff and players said that being able to hold events like this will help the Cougars get exposure within the community. Participants said that they were grateful that the coaches and athletes took time out of their day to give back to the kids. 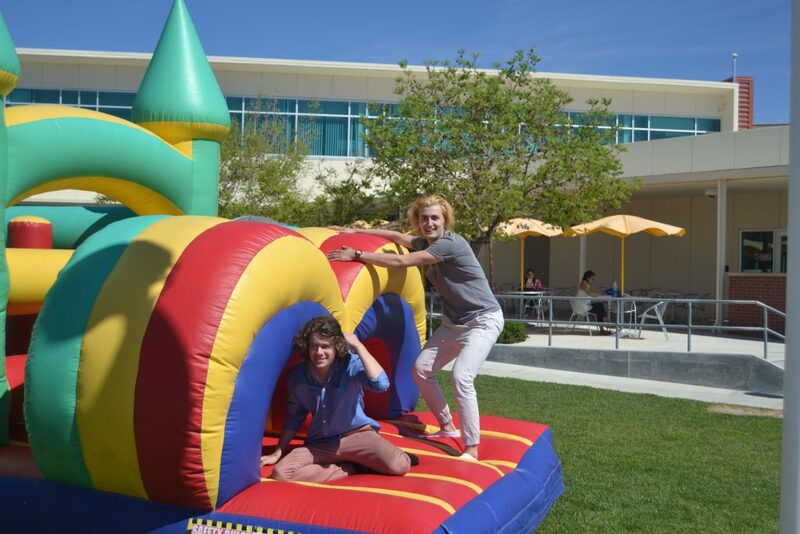 John Irwin and Adrian Diaz enjoy the bounce house. The week before Spring Break is usually such a dud. Everyone is on edge waiting for break to be here so that they can hit the beach or get started on some deep cleaning. 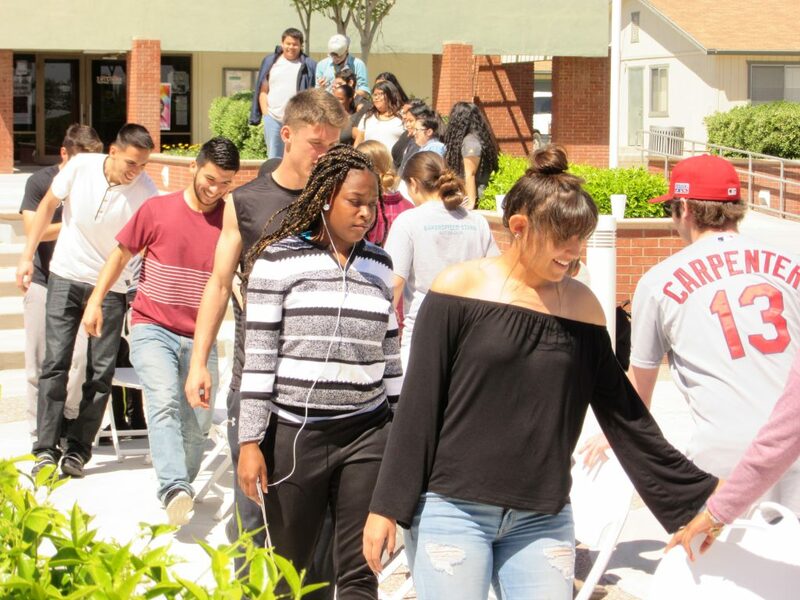 But for the students at Taft College, there was an alternative and more exciting way to get through the week before Spring break. 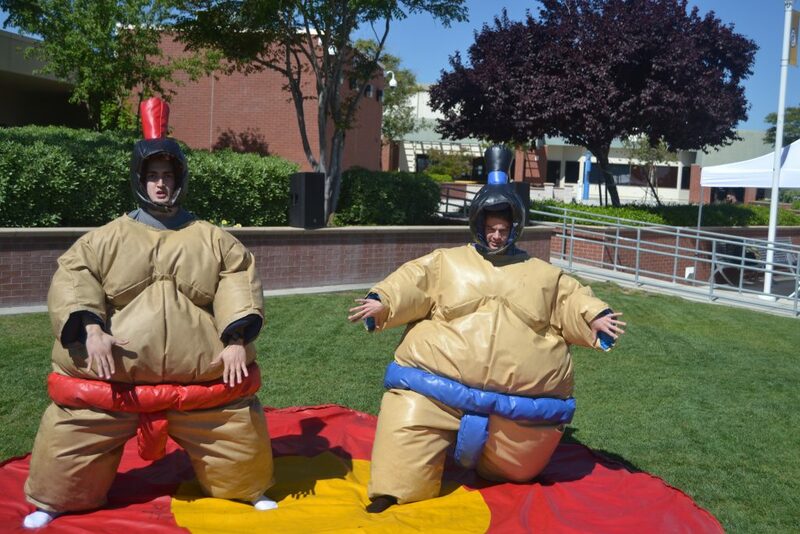 Diaz and Irwin sumo-suited it up. The school put on a Spring Fling week available for all students with activities jam packed into four days for students to enjoy. 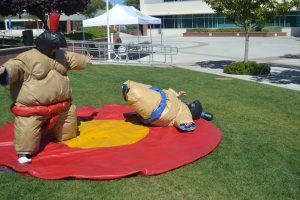 Some of the activities included sumo-suit wrestling, bounce houses, and musical chairs. Every day of the week there was a list of new activities for students to enjoy. 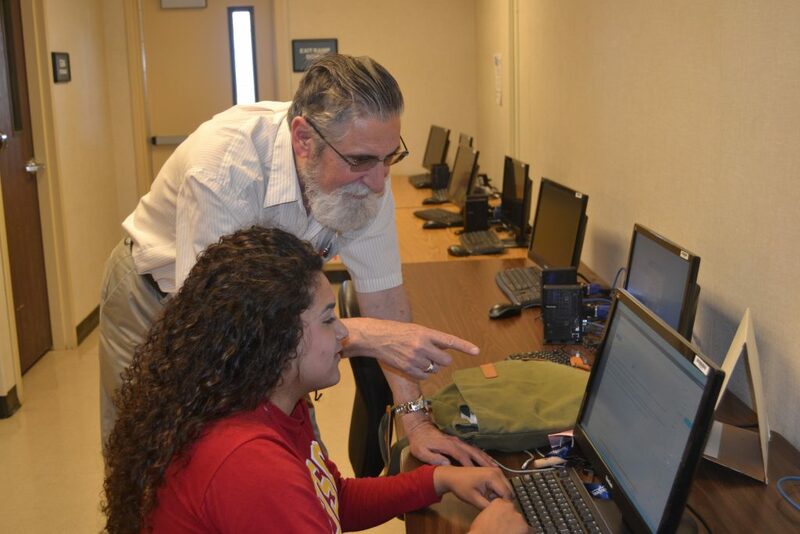 Taft College Professor Gary Graupman will be retiring at the end of the spring semester, ending 16 years of service to the West Kern Community College District. Graupman has taught English, journalism, speech, mass communications, photography, and film studies over the years. Having been born and raised in Taft, he attended Taft High and Taft College and then worked in the oilfields. He returned to college at California State University, Bakersfield, in 1987 majoring in communications with a minor in English Literature. Graupman graduated in 1990 and went on to earn a master of arts in English with an emphasis in composition in 1993. He also earned four teaching credentials. 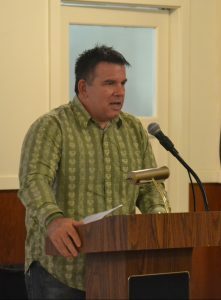 Graupman worked in special education teaching severely disabled students for 11 years with the Kern County Superintendent of Schools Office and the Kern High School District at Stockdale High. In 2001, he accepted a position at Taft College teaching English. He later moved to speech and journalism and became the advisor for the school paper and the only advisor for the Black Gold magazine when the journalism program was revamped. 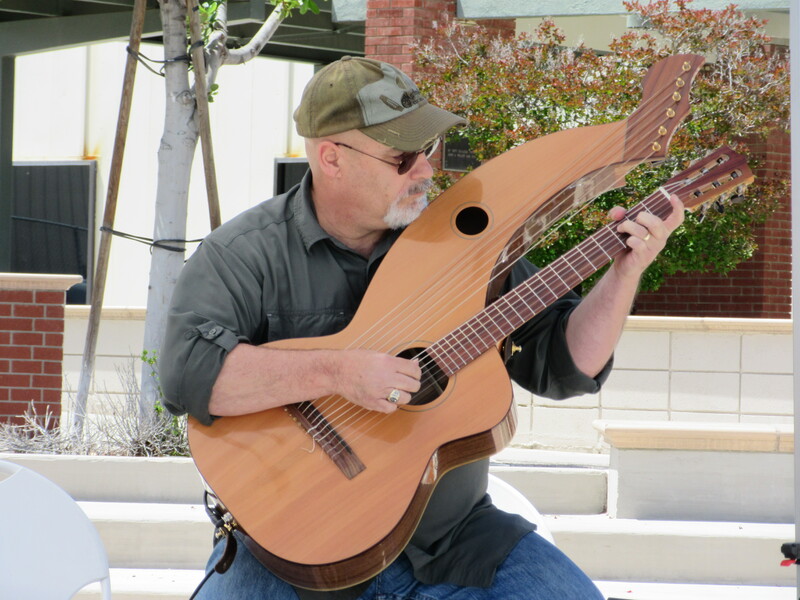 His hobbies include photography, travel, theater, and music, especially the blues. He and his wife Glenda have traveled to many countries including England, Scotland, Ireland, Wales, Holland, Denmark, Germany, Austria, Hungary, the Czech Republic, Australia, Spain, and Italy. To celebrate his retirement, he and his wife are planning a trip to Amsterdam to board a ship for a Baltic cruise and after, spend a week in Paris. They also have two blues festivals planned. Later this summer, Graupman will attend Camp Shakespeare which he claims, “It is lame, but a lot of fun,” held at Cedar City, Utah. Then he and his wife will go to South Lake Tahoe to attend the Shakespeare festival there. Graupman commented about Taft College that the only thing he doesn’t like about Taft College is the drive as he lives in Bakersfield. He has fond memories of Taft College. He and his wife plan on traveling and enjoying their retirement years and hearing a lot of music and seeing a lot of plays. 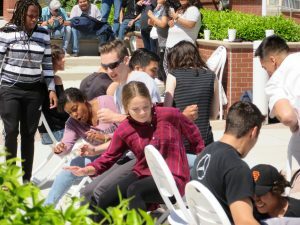 Spring Fling Week kicked off this Monday at Taft College with an event called Musical Chairs and Pizza. Participants in the game were treated to Domino’s pizza with the winner of each round receiving a Domino’s gift card. 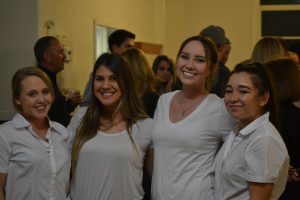 The event was hosted by Taft’s College Associated Student Body, led by ASB advisor Myisha Cutrona and the ASB officers. 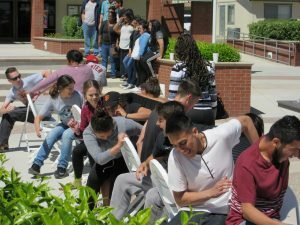 Participants in the musical chairs played with zeal and dedication. Some actually went down fighting. 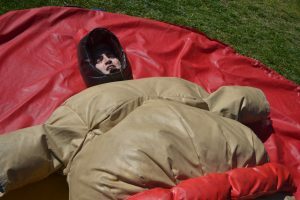 Tuesday and Wednesday’s event is Inflatable Obstacles will begin both days at 10 a.m. at the Quad. Thursday the ASB is hosting a pool and ping pong tournament, will start at 4 p.m. at the Student Union. 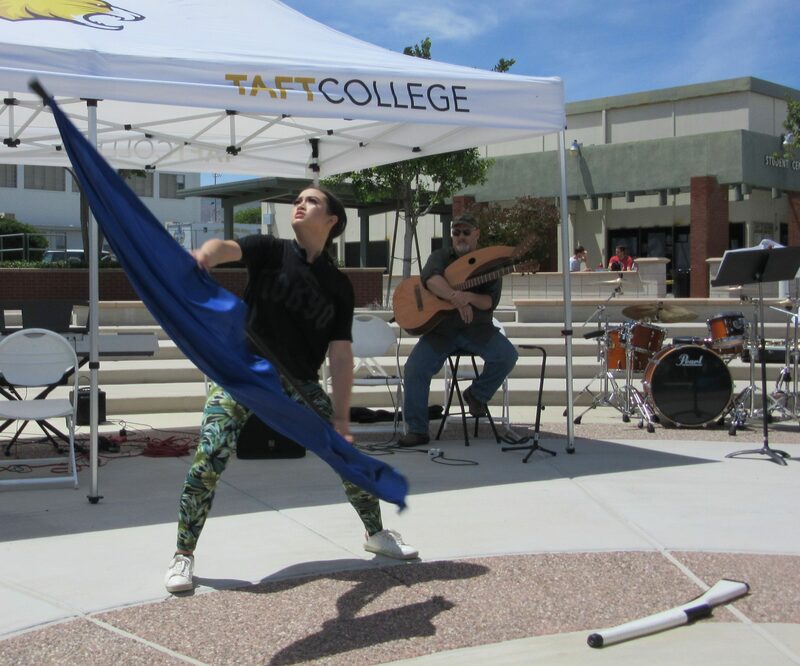 Thursday graciously funded by TC Foundation, Celebrating the Music of a Forgotten People, featuring Native American drummers and dancers, will begin noon at the Quad. The Historic Fort in Taft held host to Taft College alumni, faculty, and local business owners on January 27. 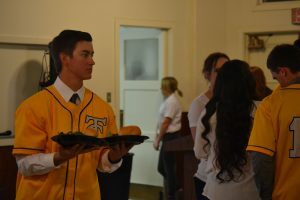 The occasion was the 4th annual Triple Play Dinner & Auction that benefits Taft College’s Athletic programs. Cougar student-athletes sat and served the attendees who payed 60 dollars per ticket and 500 dollars if they wanted a sponsor table. 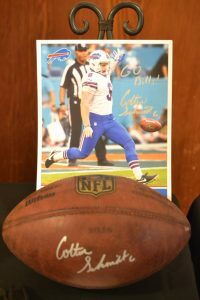 Along with the opportunity for folks to catch up on old times the dinner also provided people the chance to bid on sports memorabilia and local business items. There were two auctions going on at the same time, one live auction that people can bid on and a silent auction. While the head baseball coach, Vince Maiocco, was auctioning off items people could also big on small items like gift baskets and Cougar gear. 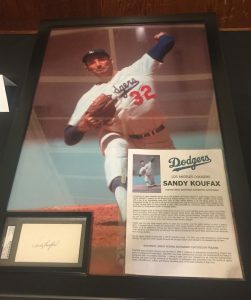 Some of the bigger items included a picture of legendary Dodger pitcher Sandy Koufax along with an autograph and a football signed by Buffalo Bills’ punter Colton Schmidt. However the main event of the evening was not the auction or even the food. It was former 11 year major league outfield Eric Byrnes. Byrnes played on a number of different major league teams his most dominant was with the 2007 NL West champs Arizona D-Backs hitting 21 home runs, scoring 103 runs and stealing 50 bases. Since retirement he has been a studio analyst on MLB Network and is an avid endurance runner. As guest speaker Byrnes talked about his life story, trip to the bigs, and life after the bigs. The attendants of the dinner were also treated to a forty-five minute documentary entitled “Diamond to the Rough”. This documentary chronicles his running of the 2016 Western States 100-Mile Endurance Run from Squaw Valley, USA to Auburn, Ca. 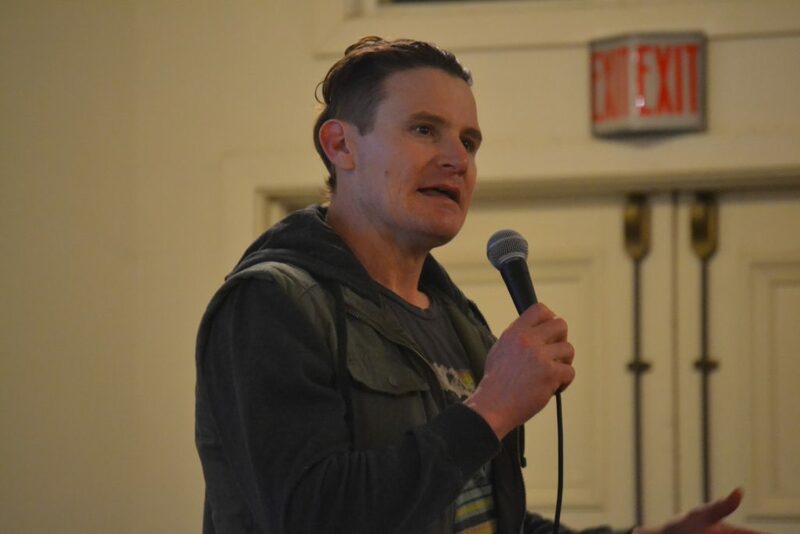 “The most important thing that endurance running has taught me that putting one foot in front of the other is the only way to get from one place to another,” said Byrnes.